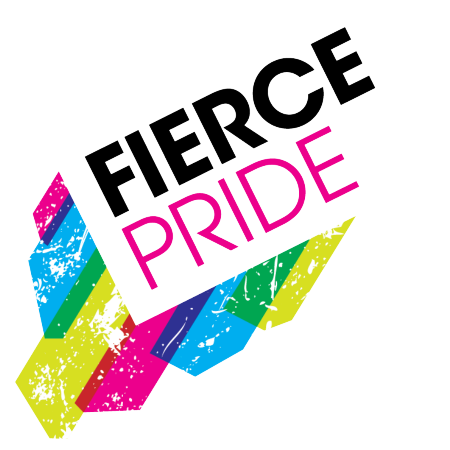 As members of Fierce Pride, we get great inspiration from our work. Not only in what we can do as an individual to help improve health for LGBTQ people, but also what it means to do so in a way that truly acknowledges the diversity of our community. Our work has been two-fold: on one hand, we challenge the culture that doesn’t always value or acknowledge our uniqueness. On the other hand, we work hard to inspire value in ourselves which leads to positive health choices. In his book “Realm of the Hungry Ghosts,” Gabor Maté brings together these “hands.” Maté describes addiction as not just a “health” or “psychological” problem, but also as actually a symptom of the culture AROUND that person and their addiction. “The Hungry Ghost” is a metaphor. A ghost, which does not have a stomach, can never feel “fullness.” They would always feel empty. They would always be seeking something that must come from the outside. Maté includes not only drugs, but also food, entertainment, pleasure, peace of mind and even intimacy. The part of us that never feels full is in our culture, where we “must” have the next upgrade, to look even younger or better, that we need more money, or just somehow need “more” to change. Maté sees the goal of “The American Dream,” where everything is about financial wealth, popularity and success as unrealistic and, eventually unfulfilling. Thus, people can have it all, and still feel “hungry” if they are unable to recognize the “wealth” of “who” they are (instead of “what” they own). Maté encourages mindfulness—being observant of our actions and reactions—as a way to make the most of all of life; not just the “good” times. By being more observant, you can see where you may need nothing more than to speak (or hear) your own truth, and finally get what you need to feel “full” on life. Maté would also encourage you to simply value yourself, see yourself as unique and irreplaceable in this world. Know that you are the only one who can share your point-of-view the way you do. Your treasures are not just in prosperity or popularity, but in the truth of who you are, and the life you live now.